Cultivation of veggies during the wet season can be very interesting in a sense: little or no form of irrigation and by extension reduction in cost of production, faster growth rate experience by most crops, and conducive weather condition for farm hands etc. but the downside of this period can be very devastating – Fungi and Bacterial diseases infestation on the rise! During wet season, fungi and bacterial diseases naturally thrive due to prolong wetness often experience on plant leaves. It is therefore essential that farmers must be ahead in this period by observing strict adherence to chemical or organic application protocol meant to combat infection. Every veggie’s family is associated with particular set of diseases. What I meant by this is that some diseases for example early blight and bacterial wilt are only associated with vegetable crops in solanaceous family (the family which includes tomato, pepper, and eggplant). These same diseases would not ordinary affect crops in cucurbit family: the family of cucumber, watermelon, pumpkin, squash etc. Your ability as a farmer to understand this is crucial to the kind of preparation you should have ahead of time. Going by this preparation, it is wise you take preventive measure rather than curative ones. In order word, most diseases in veggies are easier to prevent than to cure. The downy mildew is one of the most destructive diseases of cucurbit family. It is prevalent in wet season when humidity is very. Unfortunately, it can only be noticeable at early stage by an experienced farmer. It mostly starts with patches of pale yellow spots on the upper leaf surface which later turns brown or necrotic. The infection mostly starts on older leaves close to the soil. If left un-abated, it would continue to spread to upper and younger leaves follow by the whole plant’s leaves turning yellowish. The yellowish of leaves in most case is followed by drying. You may want to ask, how does this affect the plant in a real sense? Very greenish leaves are directly proportional to good yield. The yellowish and drying of leaves caused by effect of downy mildew affect greatly the photosynthetic ability of the plant thereby imparting on the yield. Therefore, if you want good yield from your cucumber crop, then you must keep downy mildew at bay. Putting downy mildew under control or at bay isn’t a hard thing. I am about to share with you the measures you need to follow to ensure that your cucumber farm (or any other cucurbit) is safe from downy mildew infection. Rule 1: Use resistance/tolerant variety - This is number one preventive measure. Don’t plant any cucumber variety during a wet season without a confirmation that it has intermediate to strong resistance to downy mildew. Even with stringent fungicide application protocol, a variety without resistance to downy mildew would still develop the symptom. Every standard seed company has seeds catalogue which contains the features of every of their varieties. 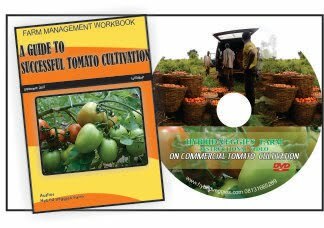 Request for this from the distributors of their seeds and identify the features of the particular seeds you are interested in. Many seeds retailers unfortunately, do not know the features of the varieties sell but only do guess work. This is the more reason you must request for the seed catalogue. Rule 3: Maintain well ventilated and clean field - Your planting distance and staking/trellising are essential to good outcome during wet season. There is high humidity around this period; poorly spaced crops would encourage poor ventilation which in turn would increase the chances of diseases infestation. It is also essential that you stake/trellises your cucumber plants to ensure good ventilation. In case of any initial yet severe infestation, please ensure you remove infected plants in order to curtail infestation through contagion. Rule 4: Do not irrigate (aerial wetting) in the evening - In case you are farming during dry season and you are using aerial wetting (type of irrigation that gets the leaves wet) make sure you only irrigation in the morning so that the leaves must have dried up before evening. Persistent wetness of leaves through the night encourages downy mildew infestation. Rule 5: Adopt stringent fungicide application protocol - Regular application of protectant (mancozeb) and systemic (metalaxyl) fungicide is the key to success around this period. However, you must use different fungicide with varied active ingredients to protect against the fungi developing resistance. The use of fungicide should be on a weekly basis during peak of raining season while preventive application should follow any heavy rainfall. Please look for the fungicide with following active ingredients (it is unlikely you find all of them in the same brand): Mancozeb, metalaxyl, maneb, copper based and propineb. Mancozeb has contact mode of action and it is preventive in nature while metalxyl has systemic mode of active and is curative to some extent. These active ingredients are very active against downy mildew. Please note that it is essential that you use at least two different fungicides with some of the listed active ingredients. If you want to protect your farm from downy mildew infection during the wet season, then you must be ready to follow all these rules. 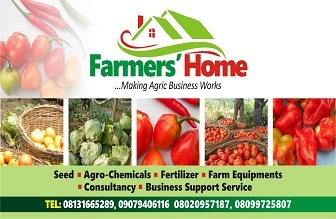 I hope you have gained one or two things from this article; do not hesitate to contact me if you need tailored made solution to some of the challenges on your farm. Cheer!